>Tomorrow is Friday! Thank goodness. And, for those of us who have Monday off next week, that means a three-day weekend is in sight! 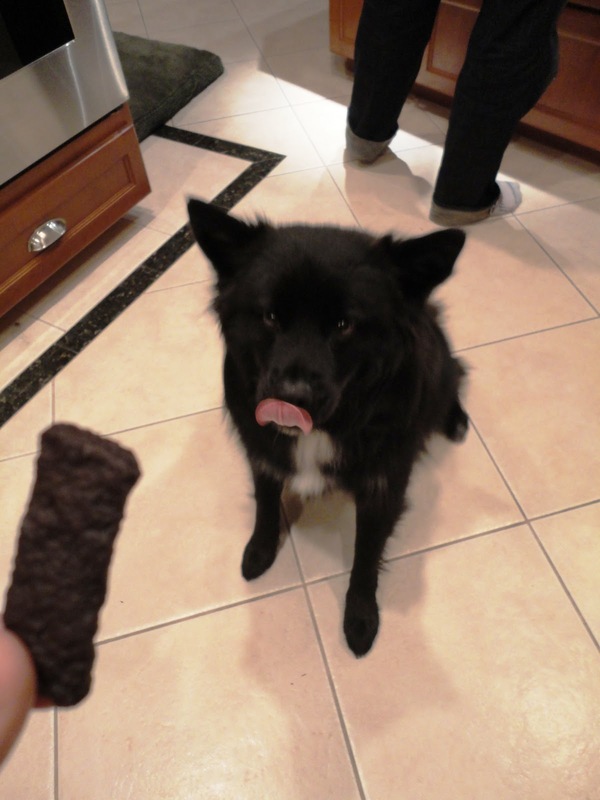 Today’s review is on Bit-O-Luv’s Bistro Beef Recipe treats! Keeping in line with my new reviewing guidelines, this product falls under the TREAT category and will be reviewed on the following elements: price, quality, benefits, ingredients/features, T-Factor, and uniqueness/fun. Ignore the random “H2102” sticker on the bag. Not sure why that’s there, but it might have something to do with the fact that the FedEx guy at my old company got these treats for free somewhere and gave them to Teton. We miss the FedEx guy. We like that the first two ingredients are beef and chicken. Also, Bit-O-Luv doesn’t use any by-products, artificial colors or flavors, or wheat. 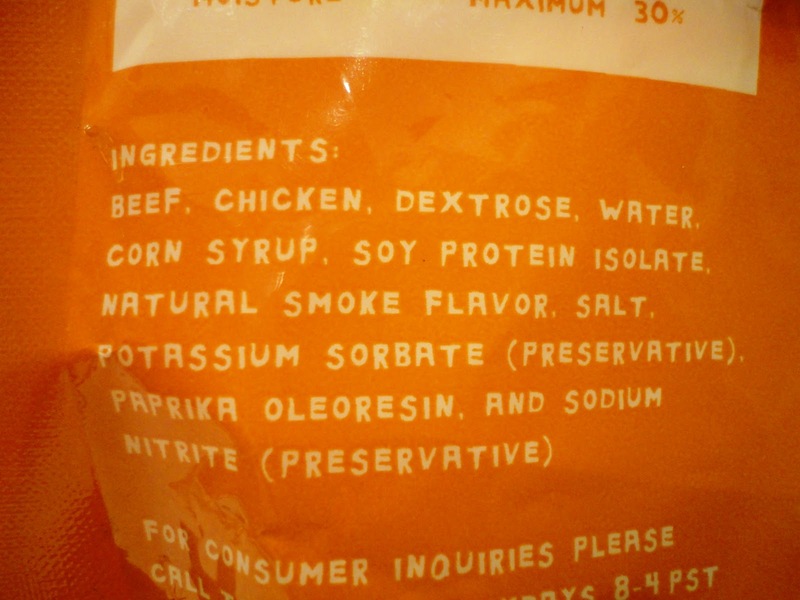 We’re not too jazzed about the sodium nitrate and potassium sorbate, though. Since TLB got the hook up with these treats, we obviously didn’t buy them. 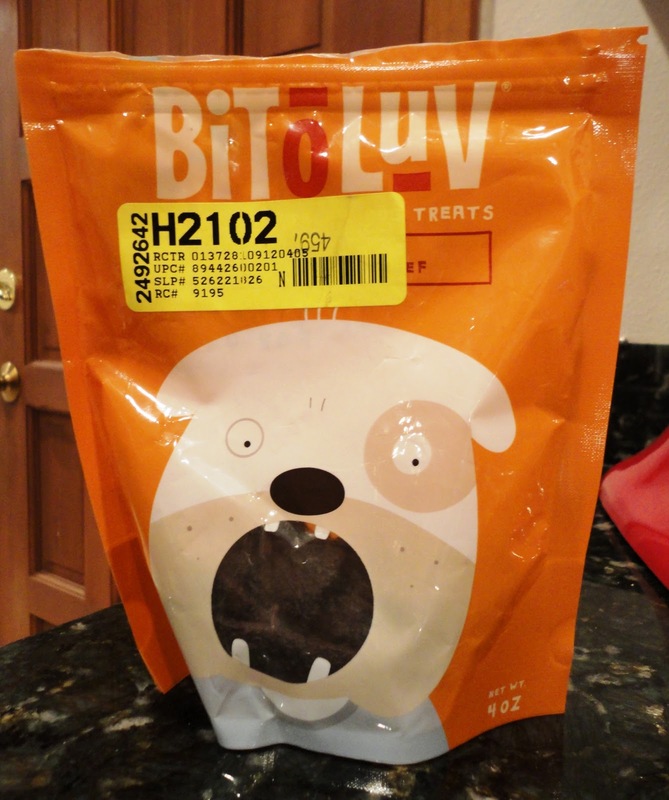 My research indicates that one 4-oz bag of Bit-O-Luv Bistro Beef Recipe treats is about $4.99. So, let’s rate these bad boys! 1. Price – $4.99 for a 4-oz bag is a decent price. 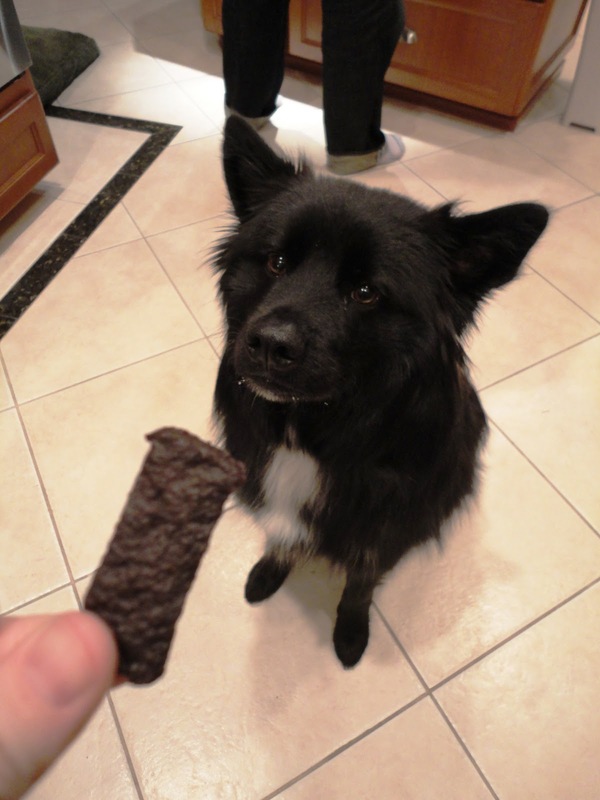 These treats are easily broken to become training nibbles and/or can be given in full form as a little extra somethin’ somethin’. 2. Quality – Ok, so I’m still figuring out this new rating system, but I would say that, going off of what is on the Bit-O-Luv packaging, the fact that this product is made in Oregon (AKA – is made in the United States) with some good ingredients means that the quality, at least on the surface, is decent. 3. Benefits – I don’t see any real benefits in this product. It doesn’t clean TLB’s teeth, it doesn’t mentally stimulate him, etc. 4. 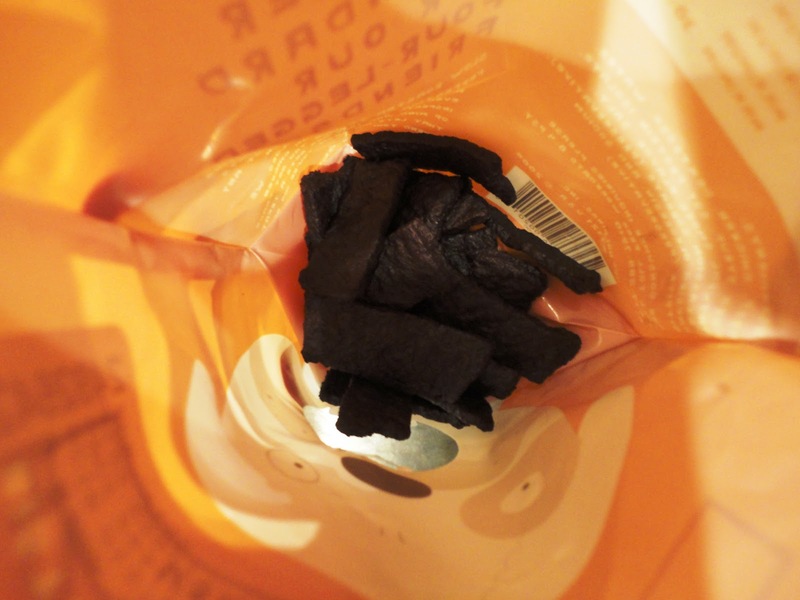 Ingredients/Features – I can see that this element is much like Quality, so I may have to re-evaluate. I’m on the fence with Bit-O-Luv’s Bistro Beef Recipe ingredients. It’s about 50/50 in my opinion. 5. T-Factor – TLB likes these treats. They remind me of human beef jerky and they have a pretty distinct aroma, so I think that may contribute to the fact that I haven’t opened the bag in 45 minutes but he is still laying at my feet gazing up at me longingly. 6. Uniqueness/Fun – I’m not going to take this element into consideration because I don’t feel like Bit-O-Luv has it. 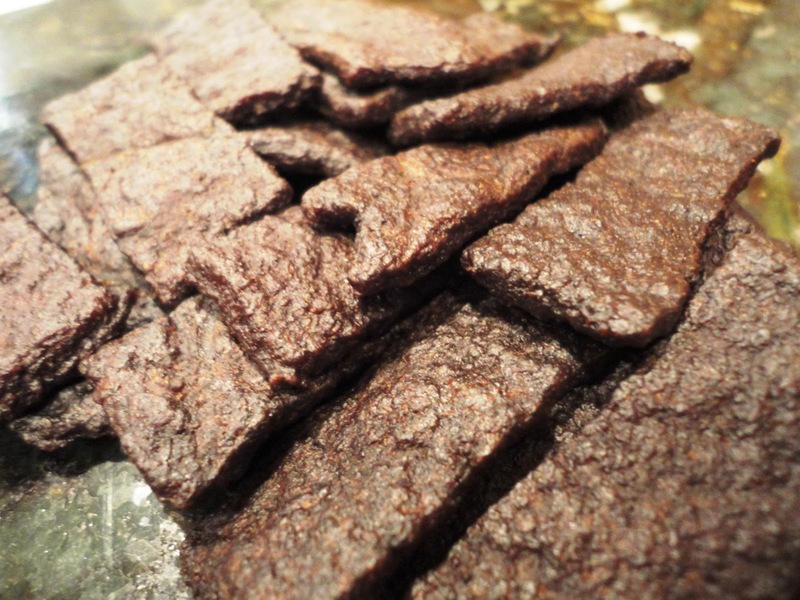 Taking the new elements into consideration, we give Bit-O-Luv’s Bistro Beef Recipe treats a five out of 10. Of the six different elements, this treat hit Price, Quality, and T-Factor. As I said earlier, I’m not so sure that the Quality element is going to work with some products, but I’ll stick with it for a while and see where it takes us. Thanks for sticking with me while I perfect this rating system! A side note before I jet: One of my awesome readers asked where dog clothing will fit into product categories. Props for thinking of something that I didn’t give enough thought to! For now, we’ll put dog clothing into the Essential category with the caveat that I will (probably) never review actual dog clothing such as sweaters or tiaras. Rather, a clothing item in the Essential category will likely be something like snow boots or a raincoat. We’ll see how it goes! Have a good night, y’all! 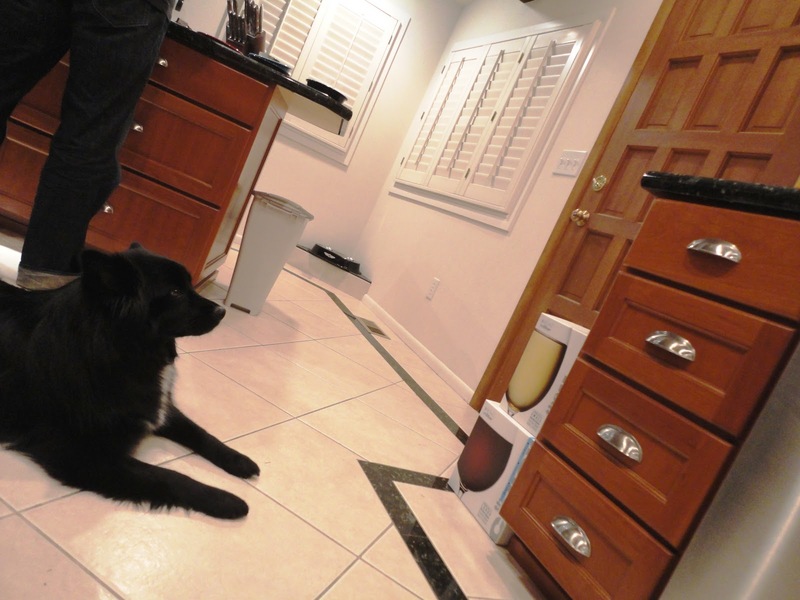 Posted on January 13, 2011 May 14, 2011 by Shannon	This entry was posted in This 'N' That. Bookmark the permalink.